Halloween in New York City makes for an unforgettable experience for people of all ages—from haunted houses, to pumpkin carving, to costume contests and world-famous parades. We’ve covered five of our favorite attractions and events so you can spend less time researching and more time celebrating. Beware: This isn’t your run-of-the-mill hayride. The New York Haunted Hayride, hosted on Randall’s Island, carts brave passengers through a world of monsters, ghosts, demons, and clowns with spook-tacular backdrops and dimly lit woods. The ride is also part interactive experience, making stops at a haunted theater and dark maze. 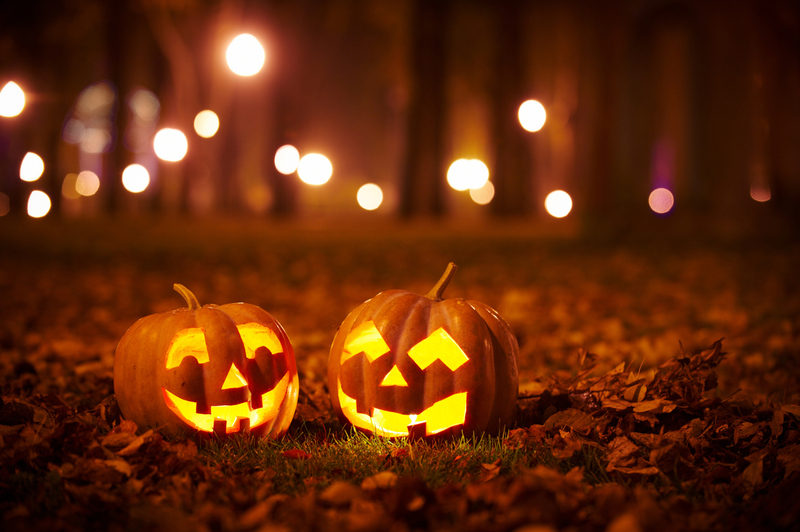 Book your tickets for Halloween night in advance here. The Merchant’s House, located in the Bowery, is said to be haunted by eight former family members who died on the premise in the late nineteenth century. Pronounced a public museum in the 1930s, guests have since reported unusual sounds, sights, and smells. On Halloween night you can take a guided candlelight tour of each eerie room and hear the tales for yourself. For admission prices and additional information, visit their website here. 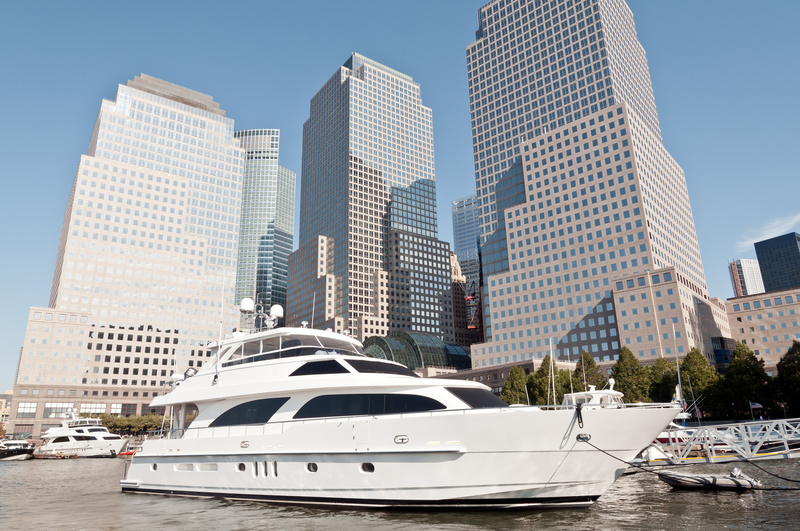 Grab your costumes and party on a yacht across the Hudson River! Festivities include a DJ, drinks, food, and costume contest on the boat’s lower indoor level and upper outdoor deck. The yacht departs at 7pm on Halloween night at the Skyport Marina on East 23rd Street. Tickets are selling out fast—click here to buy yours now. 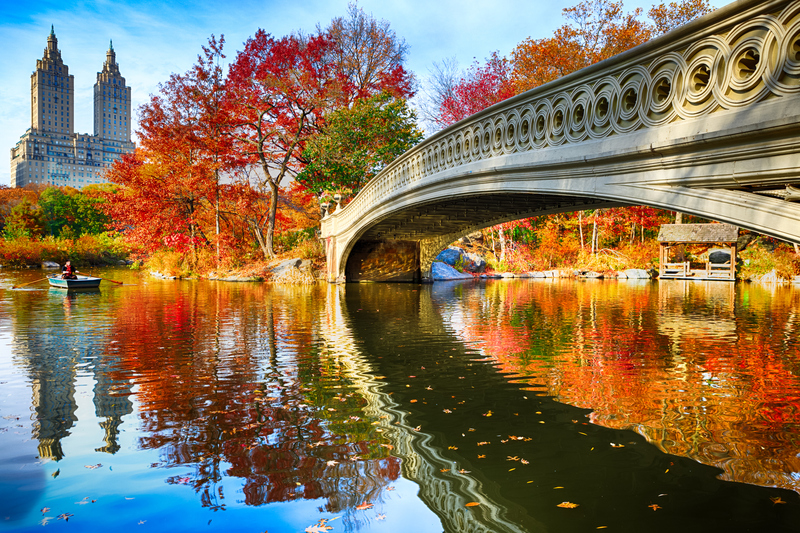 Celebrate Halloween in Central Park with pumpkin carvings, crafts, costumes, and spooky tales among the fall foliage. As the sun sets, watch the famous Pumpkin Flotilla (a floating pumpkin parade) sail across the Harlem Meer. If you show up early, you can submit your own jack-o’-lantern to be featured. And the best part? It’s totally free and perfect for all ages. For additional information and directions, click here. The 44th annual Village Halloween Parade will kick off at 7pm on Halloween night between Seventh and Eighth Avenue on 251 West 30th Street. Tens of thousands of costume-clad New Yorkers and tourists alike march in the parade each year, filling the streets with one of the world’s largest Halloween celebrations. Once the march ends, be sure to head to the after party at Slake NYC, where $2,500 will be raffled off for the best costume. Click here for more information about the parade and tickets to the after party.